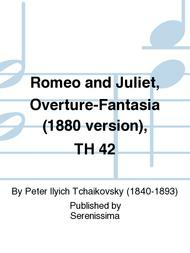 Composed by Peter Ilyich Tchaikovsky (1840-1893). Edited by Howard K. Wolf. Tone Poems, Original Works. Reprint Source: Boca Raton: E.F. Kalmus, 2012. Plate A 2181. Romantic, Russian Literary. Study score (paperback). Composed 1880. 64 pages. Duration 19 minutes. Published by Serenissima (SA.41465). ISBN 9781608741465. 7.44 x 9.69 inches. 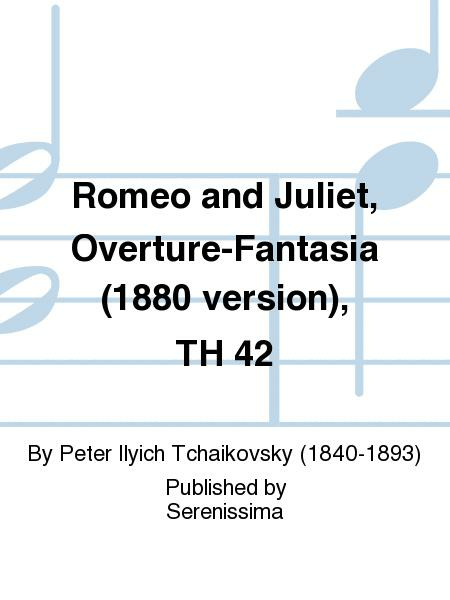 First composed in 1869, Tchaikovsky's popular overture-fantasia was premiered in Moscow on March 16, 1870 with the Russian Musical Society under the baton of Nikolay Rubinstein. The composer expanded the work later that year, which was the first version published (1871, Berlin) and this second version was given in St. Petersburg at that city's branch of the RMS under Eduard Napravnik. Still not quite satisfied, Tchaikovsky revised the work again in 1880, the German publisher issuing the final version the following year. This is the standard version known and heard in concerts worldwide today. Despite this, the final version's first performance wasn't even given in Russia proper, but in Tbilisi, Georgia on March 1, 1886, conducted by Mikhail Ippolitov-Ivanov. The newly engraved study score offered here is a reduced-format reissue of the edition by Howard K. Wolf of the large score first issued by E.F. Kalmus in 2012.